Mom, pick yourself up off the floor. It's not THAT kind of disease, those nasty types that kill you. This is more of a mental disease, and I don't care what you may hear, all authors have it. It's called the Imneversatisfiedandwanttobemoresuccessful Disease. This has nothing to do with pride or selfishness. It has nothing to do with money. It has everything in the world to do with human nature, and it's not necessarily a bad thing. As long as you keep it under control and use it for good. Shortly after my first book came out, I attended a small event where an author named Anita Stansfield spoke. She said something about how she's sold almost a million copies of her books. Instead of thinking, "Wow, great for her! ", I looked down at the copy of my own book, nestled sadly in my hands, and wanted to cry. At that time, I'm positive I had probably sold just a few hundred books. Maybe. Anyway, she then told us how she had become successful, and she used these exact words: "I went out there and I pounded the pavement." I remember distinctly, because it became my motto for the next year or two of my life. It can't be put any more simply. I pounded the pavement. In the first 2 years, I know for a certainty I did at least 100 to 150 book signings and 30 to 50 school visits. (Ah, man, I'll have to save the joyous adventures of book signings for its own post. 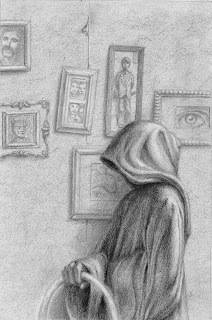 If I forget, someone remind me later.) I constantly went to bookstores and spoke with the employees, trying to turn on the charm in hopes that maybe, just maybe, one of them would someday recommend my book. I pounded the pavement, paid my dues. Dozens of sales turned into hundreds of sales. Hundreds turned into thousands. Having gotten the ball rolling, another beautiful, beautiful thing entered the story. Word of Mouth. People actually liked the book enough to tell others about it. I still can't get over the coolness of this concept. People, at no obligation, are taking the time to encourage others to buy MY book. That's like Christmas and Easter wrapped all into one. 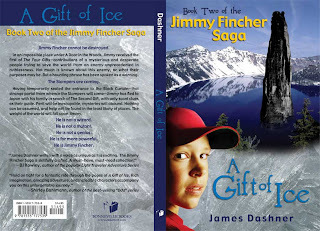 Slowly but surely, with the help of Cedar Fort setting up countless events, my pounding of the pavement, and some very nice dashes of word-of-mouth, Jimmy Fincher became a success for my publisher. Now remember, success is relative, but a fiction book that sells several thousand copies in a very small market is a success. It was Georgia Carpenter from Cedar Fort. She said that the whole company was very enthusiastic about the success of Jimmy Fincher, and that they wanted to give it an extra push. I can sum up the phone call with two words, both of which still make me smile to this day. Wait. Maybe that's starting too far back along the old Dashner Dude timeline. After all, I couldn't even speak or utilize the toilet facilities back then, let alone write stories. Let's jump ahead about twenty-five years. Toward the end of my college days at BYU, where for some inexplicable reason I studied accounting, I had a sudden and overwhelming urge to write stories. I'd always loved to read, obsessively, and had dabbled in writing here and there. But in 1998, the bug bit me like a constipated hornet on crack. 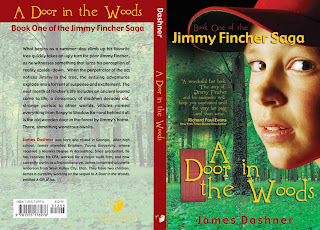 I started writing with a fever, and after a few gosh-diddly-awful short stories popped out, I stumbled upon the tale of a kid named Jimmy Fincher. At first, the story was a horrible attempt at Mark Twain meets R.L. Stine, with this dorky southern kid running around the woods with no clue that an evil door lay nearby, under which was something that would change the world forever. Problem: I didn't know what lay under the door, and I kept stalling with more and more of the ridiculous (not in a good way) antics of poor Jimmy Fincher. I finally gave up and sat down to write a simple outline. This turned into a five book map (later it would be sheared down to four), and I could finally write a somewhat coherent story. I did just that, though it took me a couple of years because it was a very on-and-off-again sort of thing. And let me be the first to admit this to the world: it wasn't very well written. It was, after all, my very first book, and I still had a lot to learn. But I loved the story. I loved it with a passion, and I wanted others to read it. It was the summer of 2001. I had never been to a writing conference or seminar. I had never met another author (unless you count my accounting professors, who wrote mind-numbing discourses on the world-changing potential of Balance Sheet ratios and got published in academic periodicals which were probably used as toilet paper more often than reading material). I was, simply put, an idiot when it came to the world of publishing. I sent absolutely horrendous query letters to the very biggest publishers and agents I found on a list somewhere, then waited patiently while they, one by one, sent back little cards that had the words "Dear Author", "regrettably", "unfortunately" and other such niceties. I was shocked and mortified. Okay, not really. I was smart enough to realize my chances of getting published were about as good as the Falcons winning the Super Bowl. Once my options ran out, I was one hair short of being done with my illustrious author career. But then I did one last thing on a whim. I sent it to three small publishers: Deseret Book, Covenant and Cedar Fort. All three of them were almost exclusively religion-oriented publishers (Church of Jesus Christ of Latter Day Saints a.k.a. LDS Church a.k.a. Mormons a.k.a. Stephenie Meyer's Church). The first two sent me back nice letters saying thanks, like your story, but it's, uh, a fantasy kid's book, take a hike, psyche. Then I opened the one from Cedar Fort, and the very first, tiny little spark of a writing future ignited in my heart when I read the letter. Lee Nelson, their acquisitions editor, said he'd taken the manuscript home to his eleven-year-old son, who proceeded to read it in one sitting and loved it. I spoke with Chad Daybell, their Managing Editor, on the phone, and he expressed interest as well. I was elated, ecstatic, bombasticallydiscombombulatedly slap-happy cheeky thrilled. But then it all crashed and burned when I heard The Catch. The inevitable, evil, blood-thirsty Catch that always creeps into our hopes and dreams, laying waste to everything in its path. If they were to publish it, they wanted me to help pay for some things. Now, although this ended up not being as horrible as it sounds, I want it to sound horrible enough that you have a sick tummy until my next post, where the story will continue. Hi there. 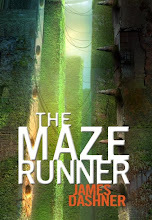 Technically, I've had a blog for a couple of years, but I only really used it to make announcements on my website, http://www.jamesdashner.com/. Due to extreme popular demand (well, my friend told me to do it), I'm going to start a new, separate blog that tells of my adventures in the next few months as I await the release of my new book, THE JOURNAL OF CURIOUS LETTERS. I've had other books published, but not on the same scale as this new series. I'm with a much bigger publisher and will be the recipient of a much bigger marketing budget (all of which I will tell you about in the coming blogposts). In fact, this book will have a first print run in hardback that exceeds the total combined sales of my other 4 books (trade paperback). So yeah, I'm a half excited, bumbling goofball and half nervous, nail-biting wreck. I hereby declare and promise that I will post often and respond to comments. I received many complaints about my poor job of updating the announcements blog, but I had a reason. Nothing's worse than making a big announcement only to have it disappear under new and less-exciting posts. So I will keep that blog only for news. This is the one where I will really try to tell the story of what's going to happen to the Little Author That Could. I'll also answer questions and babble about random topics. I don't know how people will find out about this, but we shall see. Tell your friends and neighbors. If you don't have any friends or neighbors, then you need to begin brushing your teeth and move out of that wee little hut in the desert. In my first few posts, I will tell the basic story of how I got to this point, so that everyone can catch up. Then we'll journey the long road together. Where it leads, nobody knows. But we're going to have a fun time getting there.